Known and revered by golfers everywhere, St. Andrews was formed by members of the Kingdom of Fife in 1754. The Royal and Ancient Golf Club stages the Open Championship annually and is responsible for the rules of golf throughout the world in conjunction with the United States Golf Association. 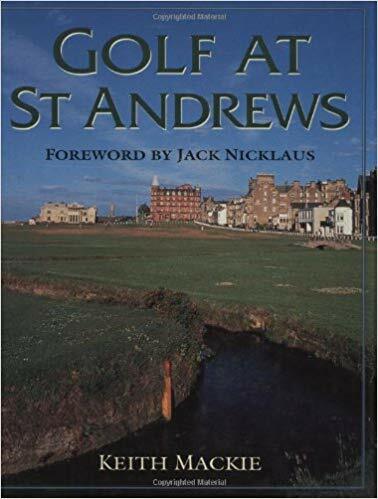 Golf at St. Andrews, including never-before-seen photographs, is an interesting and detailed survey of the Old Course and an account of its rise as the Home of Golf. Author Keith Mackie begins by discussing Open Championships from 1873 to 1990, giving amusing anecdotes of the lives of players from Old Tom Morris to Jack Nicklaus, who wrote the foreword. Mackie then handles the subject of equipment; as golf equipment and the upkeep of courses has changed, so has the shape of the swing and the flight of the ball. Of course, Mackie presents the famous events at St. Andrews such as the Amateur Championships, the Walker Cup International between Britain and America, and the PGA Championship. He also includes a chapter on the management of the links: the fascinating details of the maintenance of the Old Course as well as advice on how to secure a start time. With Golf at St. Andrews, your introduction to the world’s most famous course will be complete.